If you’re a retro gaming fan then you’re well aware of how frustrating it can be to have someone (or maybe even a pet) trip over your controller wire. At best, it unplugs the controller but more often than not, the console takes a trip over the edge of the table and probably comes unplugged itself. Analogue Interactive, makers of the all-aluminum (and more recently, this 24k gold-plated) Nintendo Entertainment System has partnered with 8Bitdo to create a wireless adapter for the NES that’ll eliminate such headaches. 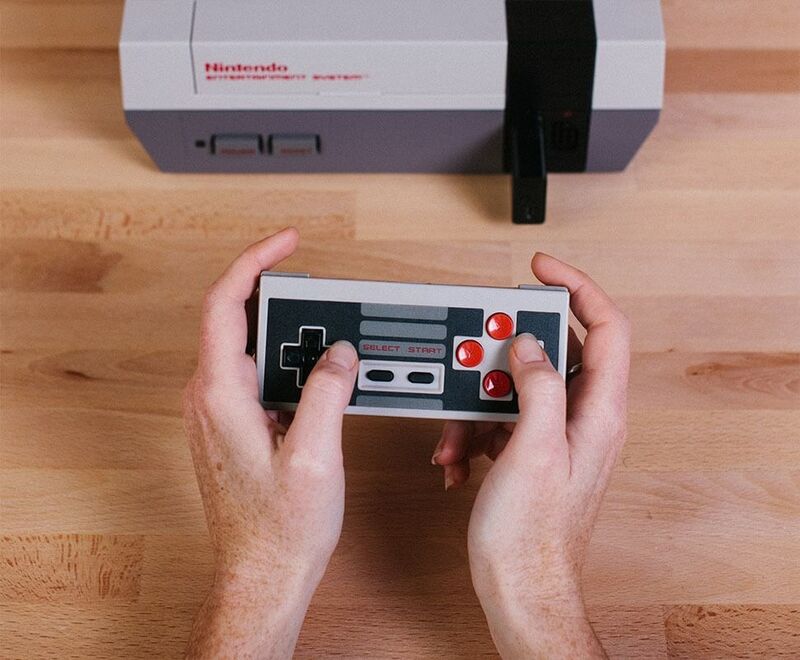 The Retro Receiver plugs into the controller port on your NES and utilizes Bluetooth to communicate wirelessly with the controller of your choice. Wireless controllers for Nintendo’s beloved console aren’t exactly new but the Retro Receiver kicks it up a notch, allowing you to play your original NES (or aftermarket systems) with any 8Bitdo controller or arcade stick. 8Bitdo offers several different controllers which are based off of Nintendo’s original hardware. The adapter is also compatible with wireless next-gen console controllers like Sony’s DualShock 4 controller that ships with the PlayStation 4 and even some older controllers like the Wiimote. Additional buttons on modern controllers are mapped as turbo buttons, we’re told, as you can use up to four adapters at a time (when using a multitap accessory, of course). The Retro Receiver retails for $19.99.